Why Aren't There Any Good Headphones With Retractable Cables? 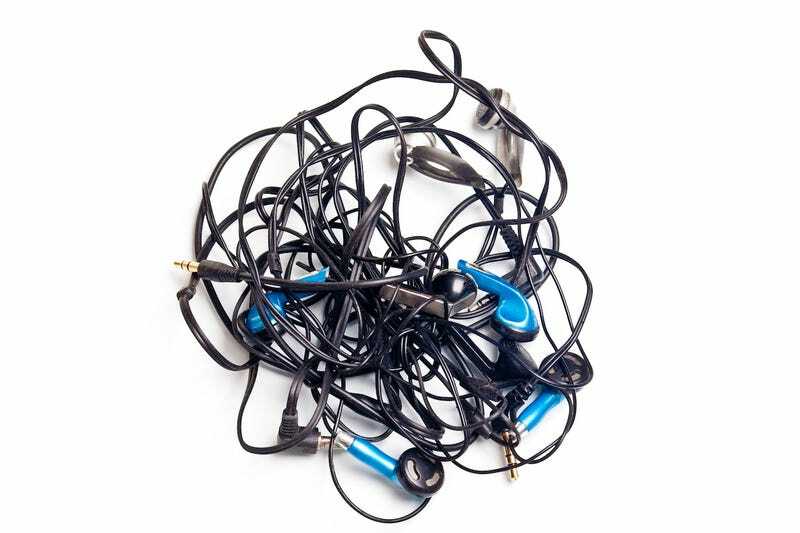 Headphone cable tangle is annoying. And despite the small armada of accessories which try and combat this problem, none have proven themselves as our savior from cable tangle. What we really want are a pair of headphones with a retractable cord—a retractable cord that's well-designed and not attached to a crap pair of buds. Is that so much to ask? Does this unicorn actually exist?